More than 47 years of experience partnering with Indigenous communities has equipped Cultural Survival with a trusted network of Indigenous partners and international human rights advocates across the globe. 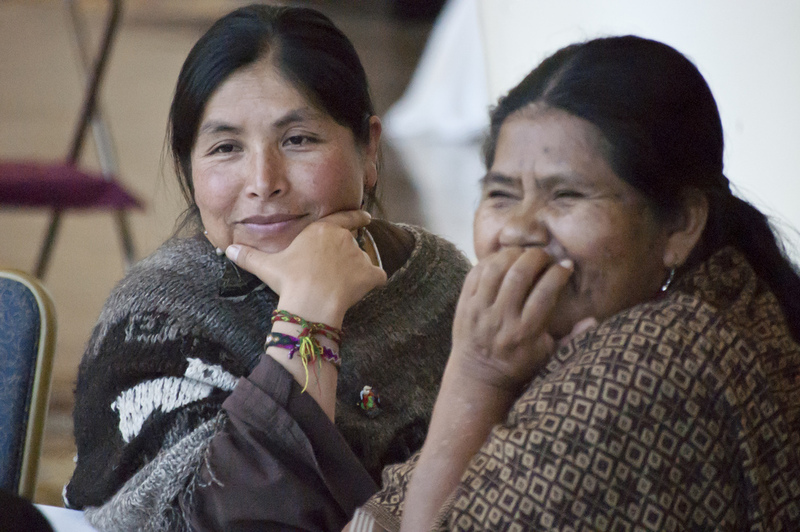 Our work is predicated on the United Nations Declaration on the Rights of Indigenous Peoples. 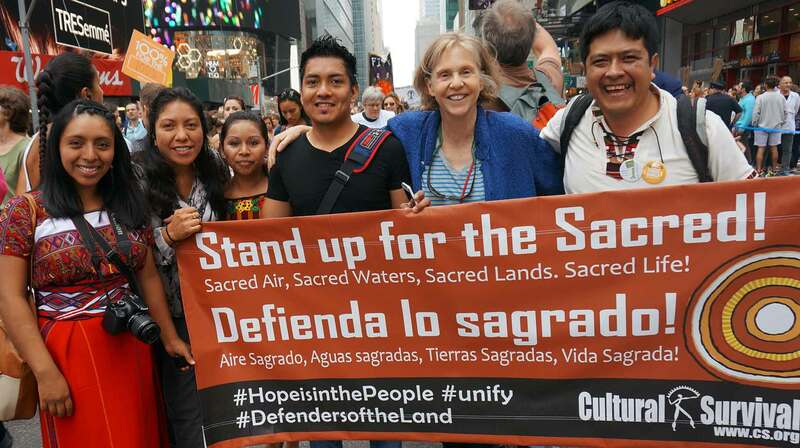 We engage opportunities to leverage our experience and leadership in advocacy, media, public education, programs, and in providing platforms to amplify and empower the voices of Indigenous Peoples as they work to claim their rights to self-determination, their lands, cultures, and precious ecosystems that are essential to the whole planet. Cultural Survival supports a movement of empowered Indigenous Peoples organizing their communities to engage the international processes, national policies and human rights bodies to respect, protect, and fulfill their rights. Our organization is Indigenous-led and has a diverse board of directors bringing experiences from the Indigenous and non-Indigenous worlds to inform our perspectives and scope of work. Since 1972, Cultural Survival has partnered with Indigenous communities to advance Indigenous Peoples' rights and cultures worldwide. The core of our efforts rest on the principles of supporting, amplifying efforts and raising awareness of self-determination for Indigenous communities. Cultural Survival employs a participatory, rights-based approach to our relationships that respects and strengthens Indigenous rights while honoring traditional Indigenous worldviews and lifeways. Our programs work to inform, create resources for, support access to information, bolster freedom of expression, and assist Indigenous communities to organize and shape their futures in ways consistent with their traditions, languages, cultures. We publicize Indigenous Peoples' issues through our award-winning Cultural Survival Quarterly; we mount on the ground campaigns and other advocacy efforts to stop environmental destruction and abuses of Indigenous Peoples' rights, always at the community’s invitation. Headquartered in Cambridge, Massachusetts, we have a satellite office in Santa Fe, NM, and staff based in Guatemala, Panama, Mexico, Nicaragua, Nepal, Canada, and South Africa. Cultural Survival also holds consultative status with the United Nations Economic Social and Cultural Council since 2005. Cultural Survival, Inc. is a non-profit organization with federal 501(c)(3) status. FEIN 23-7182593.